Noise-absorbing mobile office partition easily wheels into place to provide a privacy screen between desks and work areas. 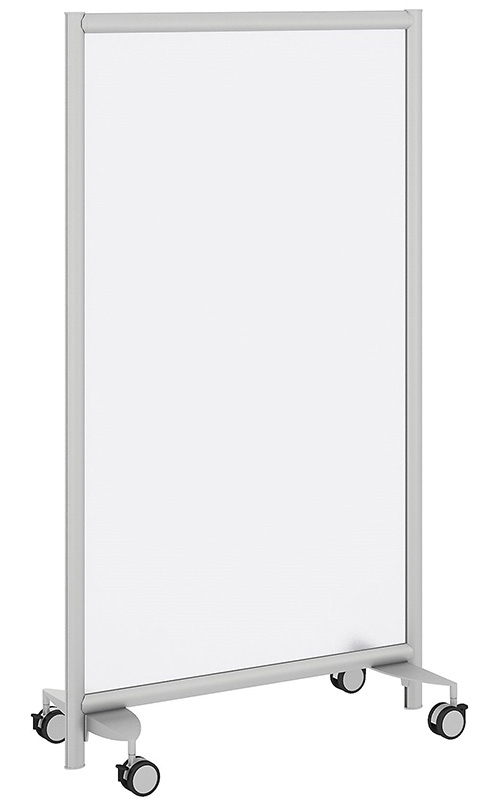 Free-standing panel features a convenient white board on both sides to use for conferences or as signage throughout the office. 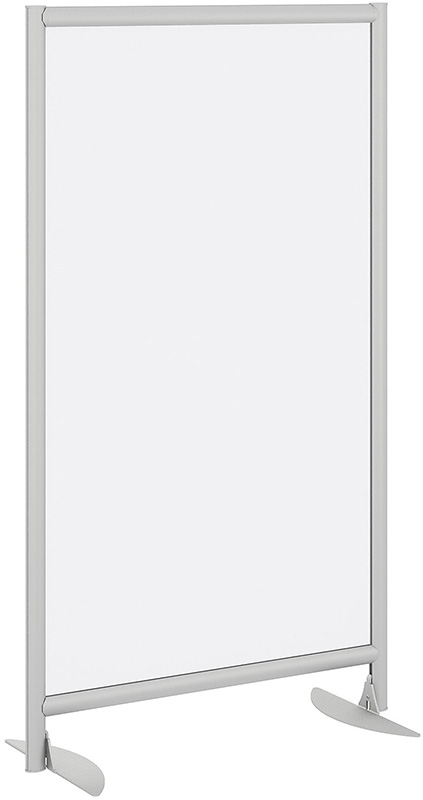 Smart design allows you to nest multiple white board panels for compact storage. For use with most dry/wet erase markers. 62"H White Board Privacy Panel on Wheels sold above. Non-mobile version sold below. 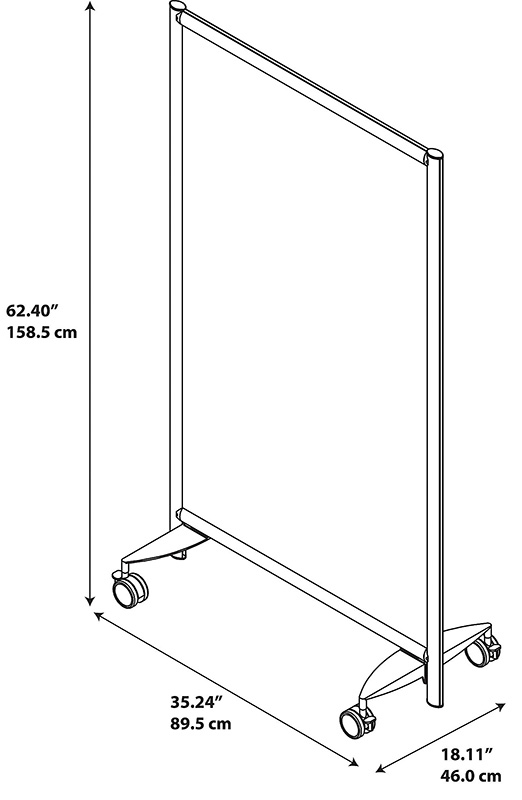 62"H White Board Privacy Panel on Wheels measures 35-1/4"W x 18-1/8"D x 62-3/8"H overall. Ships unassembled. Shpg. wt. 30 lbs. PRICE INCLUDES SHIPPING! Please allow 1-2 weeks for delivery. * Sleek silver anodized aluminum frame. * White board surface area measures 31"W x 54"H.
Same white board office partition as above but with a stationary base. Smart design allows you to nest multiple white board panels for compact storage. For use with most dry/wet erase markers. Measures 35-1/4"W x 16-1/2"D x 62-3/8"H overall. Ships unassembled. Shpg. wt. 33 lbs. PRICE INCLUDES SHIPPING!